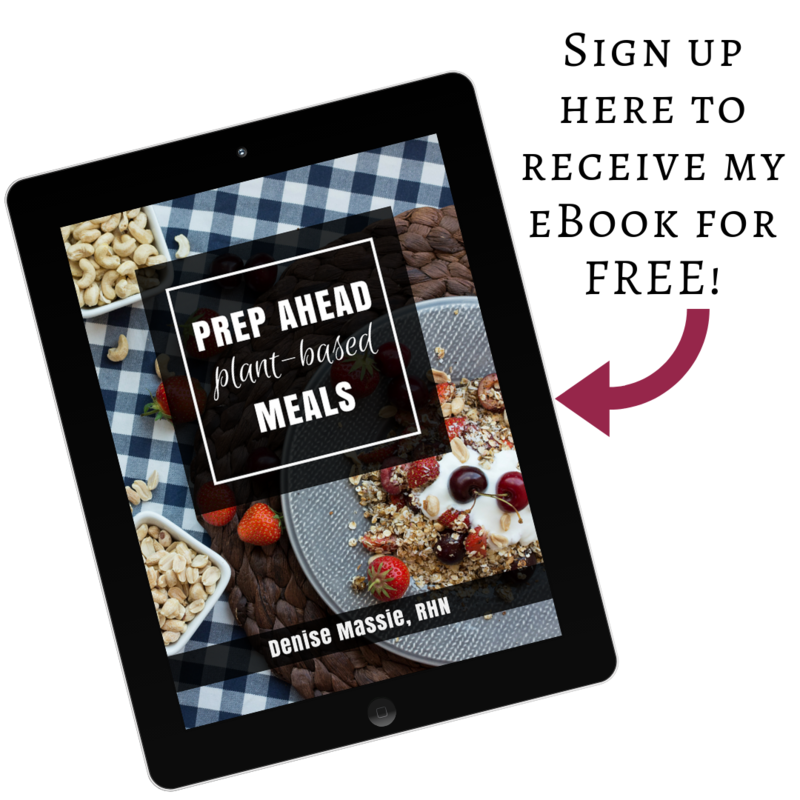 I’m happy to announce that in May, I’ll be releasing my ebook “Prep Ahead Plant-Based Meals” for free download. It is a compilation of recipes, templates, and variations to make a busy family’s life easier. I understand how difficult it can be to eat healthy plant powered food when life is crazy. I’ve found ways to make it meal preparation quicker and easier by doing a little work ahead of time. In this ebook you’ll find ideas for breakfast, lunch, dinner, and snacks that are simple, delicious, and satisfying. I’ll also share some tips for success that will help you stay on track and enjoy the journey. To make sure you receive a copy auto-magically as soon as it’s ready later this month, click here. Event Alert: In May I’ll be speaking at Veggie Fest Hamilton on this very subject, so mark your calendar and get there early. You won’t want to miss out on all the incredible food!